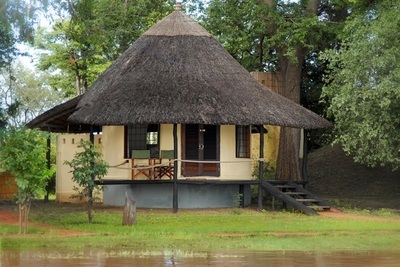 Nsefu Camp is in a private concession to the edge of the National Park. 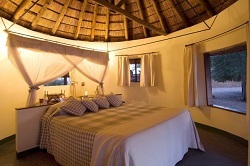 There are only 6 accommodation units at Nsefu Camp – but these are traditional Rondavels, brick built, circular buildings with a thatched roof. The rondavels may be the original 1950s buildings, but they have been carefully and lovingly restored – complete with antique fittings and comfortable modern furnishings. 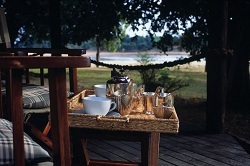 Each also boasts a deck with wonderful views along the length of the Luangwa River. 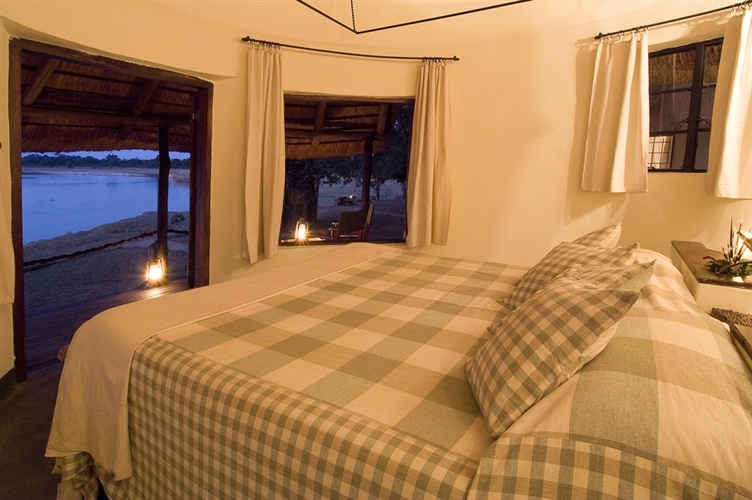 In the interior of the rondavel, a set of double doors opens onto an elegant bedroom where a large central bed is raised off the floor, allowing you to enjoy views of the River, without even lifting your head. 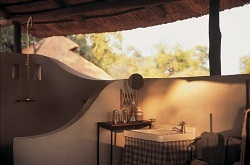 Steps lead down to a spacious bathroom which has a shower with a view! 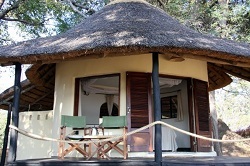 Wildlife is never far away at Nsefu Camp. Take a stroll to the bar area, overlooking the river and a large lagoon, and you can watch the animals come and go, drinking at the water hole. Enjoy a relaxed afternoon in the bar, whilst nursing a cool drink, and flicking through the collection of books and magazines, and watching the game. 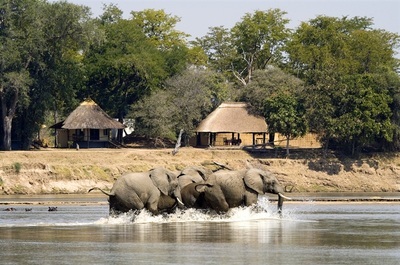 As Nsefu Camp is set on a bend on the River, it enjoys great views of ebony groves and lagoon systems, where the wildlife viewing is exceptional. In addition, bird life is prolific, and includes one of Zambia’s largest breeding colonies of yellow-billed storks (best viewed in May and June). The nearby salt pans also provide a breeding ground for crowned cranes. 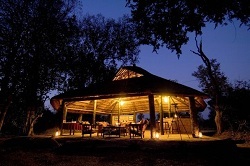 The remote setting of Nsefu Camp also means that you can take private walking safaris, game drives and night drives – all excellent way in which to enjoy the area and the wildlife. You can also visit the local Kawaza Village.